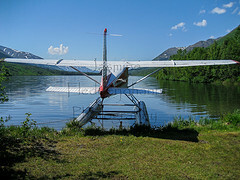 Best of Alaska Self Drive Tours - Our Alaska driving tour packages are for many guests the preferred way to travel. 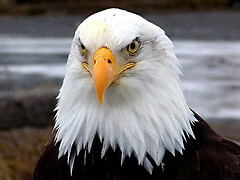 Enjoy the freedom to independently travel across Alaska, exploring different National Parks at your own pace. Visit the most popular Alaska Destinations and National Parks including Denali National Park, Glacier Bay, the Kenai Peninsula and Northern Alaska. If you are not able to find a suitable Alaska tour package or itinerary on our web sites we will be glad to assist, customize and organize a driving tour especially for you - whether you travel alone, with your family or with a group of friends. 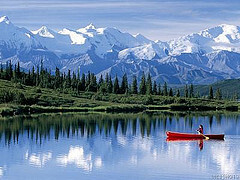 Explore Alaska and experience the wilderness and natural beauty beyond imagination. We gladly accept bookings from national and international clients. Sample the most spectacular sceneries Alaska has to offer: Cruise magical Kenai Fjords offering breathtaking scenery, massive tidewater glaciers and abundant wildlife. Visit the "halibut fishing capital" Homer and the enchanted artist community of Halibut Cove, fish for the Kenai River King Salmon or raft down Kenai River Canyon in the heart of the Kenai Mountain Range. 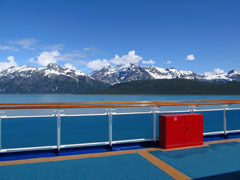 A simply perfect pre/post program for cruise passengers from Seattle and Vancouver disembarking in Whittier. 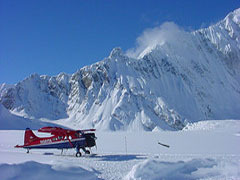 Pick up your rental car directly in Whittier and explore Super-Natural Alaska. 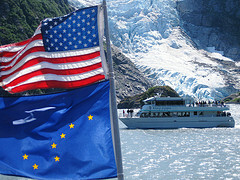 Drive to Seward and join the spectacular glacier cruise into Kenai Fjords National Park. 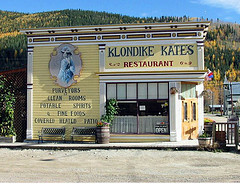 Visit the goldrush town of Talkeetna for a flightseeing tour to Mt. Denali (formerly Mt. 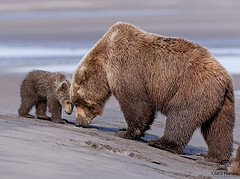 McKinley) and explore Denali National Park during the wildlife shuttle bus tour. The tour is available in reverse. Get a glimpse of the wild side of Alaska's backcountry areas and travel along the Denali Highway - one of the last wilderness roads. Continue on the remote McCarthy Road deep into the Wrangell/St Elias National Park, discover Kennecott Copper Mine with its historic atmosphere, observe mountaineering activities around Talkeetna and take the Alaska Ferry across Prince William Sound. Alaskas Classic Route features most of the highlights and scenic wonders in the central Alaska region - Kenai Fjords, Denali and Wrangell / St. Elias National Parks. Take a flightseeing tour to Mt. Denali, watch out for wildlife in Denali National Park, explore Fairbanks area, visit McCarthy and the Kennicott Mine, hike to Exit Glacier, cruise across Prince William Sound and join us for a spectacular Kenai Fjords glacier cruise. The tour includes a drive on the legendary McCarthy Road to the historic ghost town Kennicott in the heart of the Wrangell St.Elias Mountain National Park, a visit of the Matanuska Valley - a fertile farmland with an immense amount of summer sunlight hours where vegetables grow to incredible sizes (the cabbage record is 106 pounds), perfect wildlife viewing within Denali National Park and a glimpse of Fairbanks - gateway to the last frontier. Explore the natural wonders of Alaska during our two-week self drive tour to the most scenic destinations central Alaska has to offer. 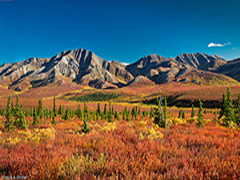 Highlights are the Denali National Park Wildlife Tour with excellent wildlife viewing for Moose, Grizzly Bear and Wolf, Chena Hot Springs near Fairbanks, Valdez, the fjords of Prince William Sound and last but not least the fishing communities of the Kenai Peninsula - Homer, Soldovia, Kenai and Seward. Explore the magic and the mystery of Canada's Yukon Territory and Alaska as you follow the historic Gold Rush Trail Mileposts from Skagway, Whitehorse, Dawson City, Tok to Fairbanks. Visit magnificent Denali National Park, Anchorage and the tidewater glacier of Prince William Sound, observe grizzly bears, moose, wolf and whales and enjoy spectacular nature and scenery. 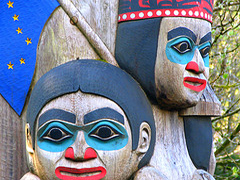 The best of Alaska and Northern Canada. 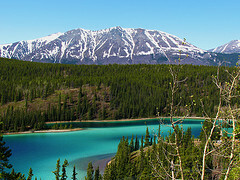 The Yukon and Alaska classic self drive tour program is a long time customer favorite focussing on the historic gold-rush trail, wildlife viewing and incredible mountain scenery. Visit Denali National Park with towering 20.130 ft Mt. Denali, take a Prince William Sound glacier cruise, explore the rugged wilderness areas of the Wrangell St. Elias Park, visit a sled dog kennel, fly to Glacier Bay or around - Mt. Denali ... Alaska and Canadas Yukon Territory at it's best! It's all about adventure, history, wildlife, untouched nature and magnificent scenery in Alaska and across the border at Canada's Yukon Territory: The tour starts in Anchorage and includes Denali National Park with 20.320 ft. Mt. Denali - the tallest mountain peak in North America, a cruise through Prince William Sound, visits in Dawson City, Skagway, Haines - known for the 1898's goldrush, an optional Glacier Bay trip and many other highlights in the Land of the Midnight Sun. It’s undeniable that June, July & August are the best months to visit Alaska as far as the weather and temperatures go. The downside is that this is the most popular time to visit, so it’s likely more crowded and prices are at peak levels. The shoulder months of May & September are great months to visit as weather is still decent, crowds are smaller, the mosquitoes are basically gone and prices are a touch less. You might even be lucky to view the northern lights in late August / September. Please feel free to contact us if you have any questions.